PUNE: Residents of 11 fringe villages slated to be merged in the city limits by this year-end are hoping for the moon but experience belies their expectations. The villages included in the corporation limits earlier have remained 'underdeveloped' decades after the merger. The quality of life, infrastructure and basic amenities are still below par in those areas. The Pune Municipal Corporation (PMC)'s own analysis shows majority of the villages merged in the civic limits are struggling to cope with urbanization. The PMC’s observations are based on the Ward Infrastructure Services and Environment (WISE) research, a method of grading different areas of the city based on 26 indicators. Going by it, majority of outer areas merged in the city limits emerged as underdeveloped with the absence of basic infrastructure and amenities. In contrast, about 90% of areas in the developed category are in the mid-city Peth area. Yet, the PMC and the state government are keen to accommodate more villages in the city limits. By this year-end, the Pune municipal limit area is likely to increase by 80.7 sq km with the merger of 11fringe villages in the city limits. The city's population will go up by 2.78 lakh. Once the full merger process is completed and 34 villages become a part of the city, the PMC will become the largest municipal corporation in the state. Its geographical area would increase from the existing 243.84sqkm to over 500sqkm. It will be bigger in size than Brihanmumbai Municipal Corporation, covering an area of 480.24 sq km. The state government has stated in a notification, "The availability of water andwater projects, garbage management and proposed ring road will be considered and the merger of the 23 villages (besides 11 villages that will be merged by this year-end) will be carried out in phases in the next three years." The residents of villages slated to be merged in the city limits are upbeat. To get rid of water woes, Milind Surange of Shewalewadi is banking on the merger of his village in the Pune corporation limits. Not just Milind, thousands feel that they will get sufficient water after the merger. "We are supporting the merger of our village in the PMC limits so that we get continuous water supply and infrastructure like road and sewage lines. The gram panchayat cannot to cater to these needs," said Milind. His society has no water source except a well, jointly owned by many people. The builder had told the flat buyers the well belonged to him and had sufficient water. With the builder refusing to shoulder the water responsibility, residents are waiting for the merger. College student Rajesh from Undri expects "quality life" once his village is included in the city limits. "There will be good roads and better transport," he said. If the merger plan goes through, the PMC would become the largest municipal corporation in the state and require Rs5,740 crore to develop basic infrastructure. The civic of ficers said they were not sure from where the money would come from. Cut to the past. A total of 38 villages were merged in the PMC limits in 1997. Four years on, as many as 15 villages were completely de-merged and five were partially excluded from the PMC limits. The 23 villages merged in the city limits are still struggling for basic infrastructure and amenities. "Our lives have worsened after our area was merged in the PMC limits. We are paying heavy taxes for nothing. We still feel we live in a village. There are no roads, drains, open spaces and sufficient transport. Nothing has changed, but property prices have gone up. It has become difficult for common people to buy flats here," said professional Vishal Lokhande, who lived in a rented flat in Dhankawadi when it was merged in the city limits. "Merging more villages will result in more mess. 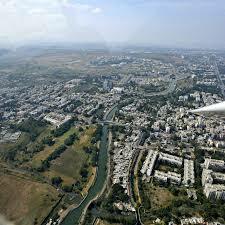 The state must merge villages in the Pune city limits only after promising them overall deve lopment. We are not a part of Pune city. We are a part of Pune village. Nothing has changed for us in the past two decades," says Ashish Chandra from Katraj area. Urban planner Ramchandra Gohad said the PMC's "disintegrated" approach would lead to unbalanced development in the city." All the 23 villages merged in the civic limits are reeling from lack of basic amenities. All parts of the city must grow together and with the same speed. A comprehensive approach towards development is the key to sustainable development." Activists and urban planner Aneeta Benninger-Gokhale said Pune was suffering from infrastructure and planning deficit and the PMC had failed to manage the current population and its requirements. It is likely that the additional resources given for the newly merged villages would be usurped by the city because there was no way to ensure the money was used for newly merged villages, she said.